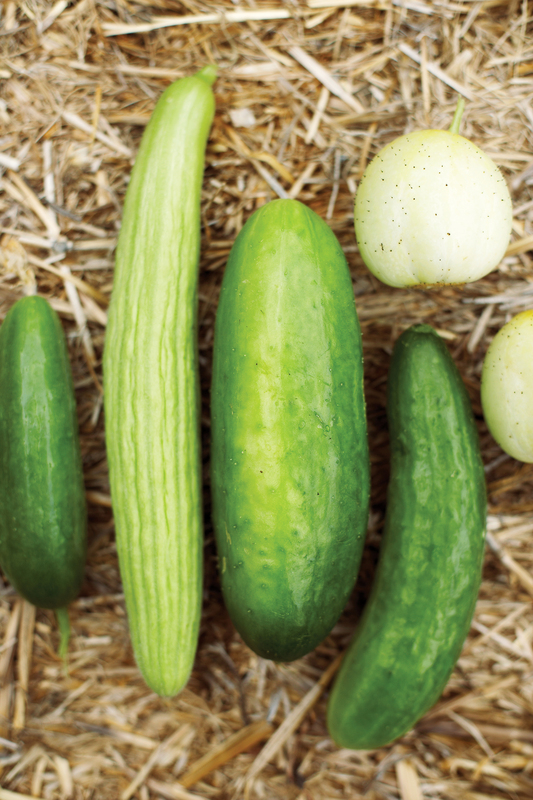 These are my top picks for veggies and fruits to grow at home, from tomatoes to greens. 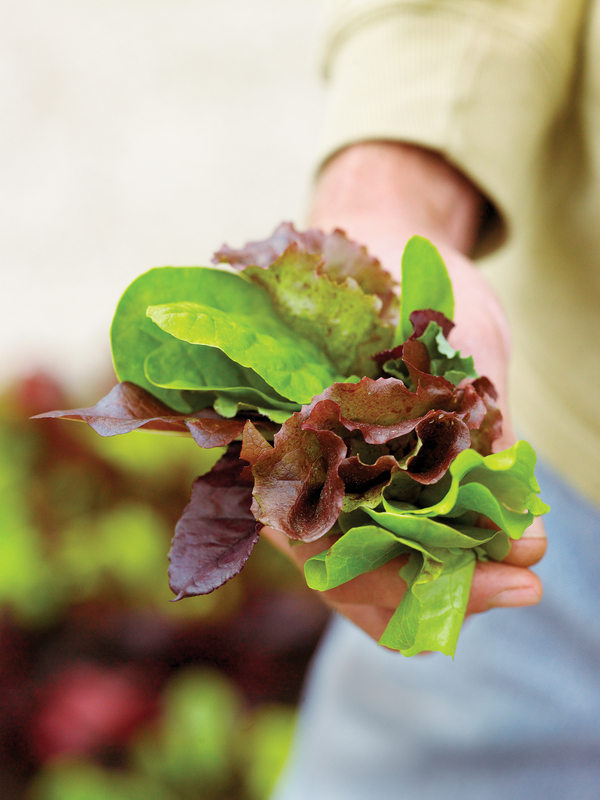 Growing your own edibles gives you veggies and fruits that taste so delicious. 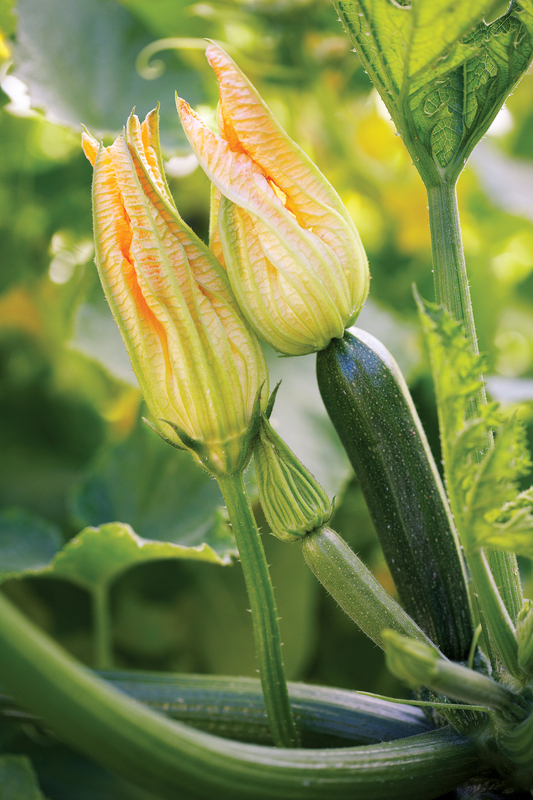 Whether you have a large area, or a small plot, you too can grow your own favorites. 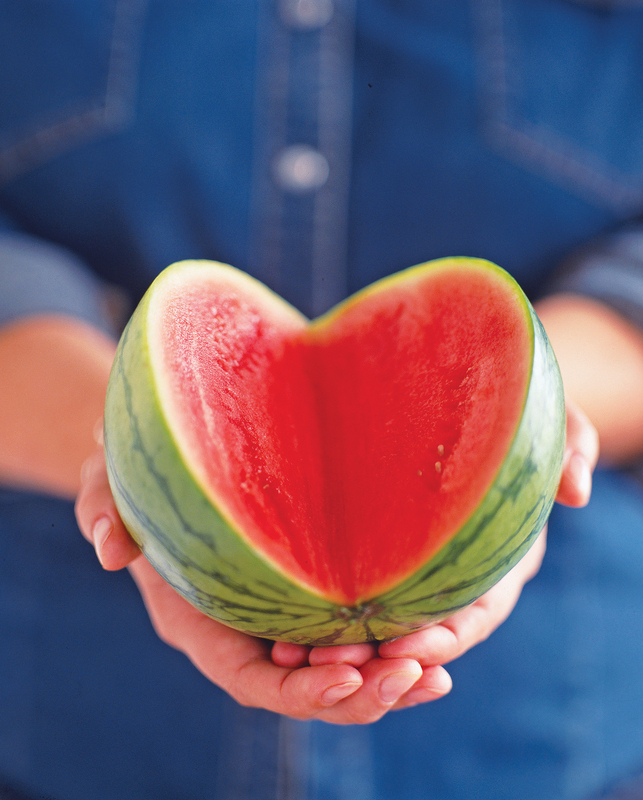 If there was ever a fruit to grow yourself, this is it; most commercial varieties are subjected to too many pesticides. ‘Quinault’ is a flavorful everbearing variety, but i also love ‘Sequoia’ (a June-bearing variety, one of the tastiest around) and ‘Seascape’, tasty fresh and in jams. Zones A1-A3, 1-9, 14-24, H1, H2. 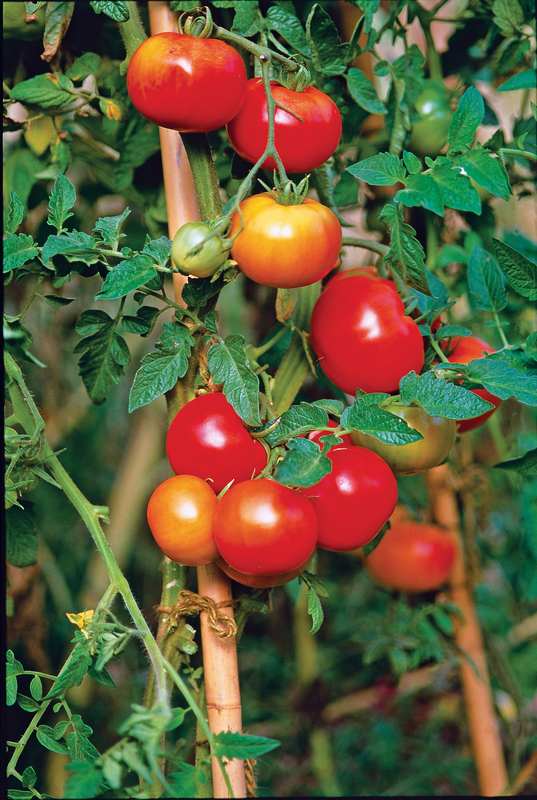 To produce a crop, plants need 2 to 3 months of warm days and nights. A well-spaced row of these eggplants makes an ornamental border. zones 1-24, H1, H2. Start from nursery-grown plants; they’re much easier than seeds. 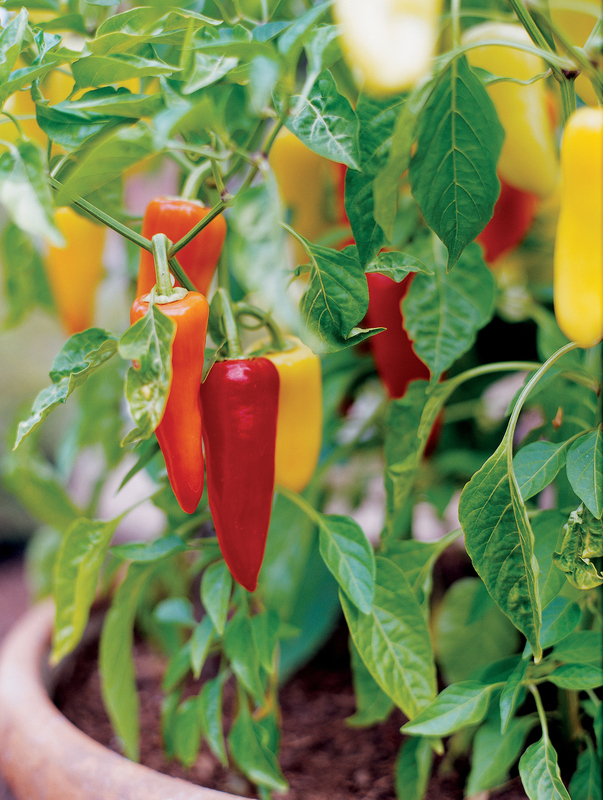 You can plant mildly spicy ‘Mariachi’ peppers in large pots and quickly deemed them keepers on our “grow ‘em every summer” list. 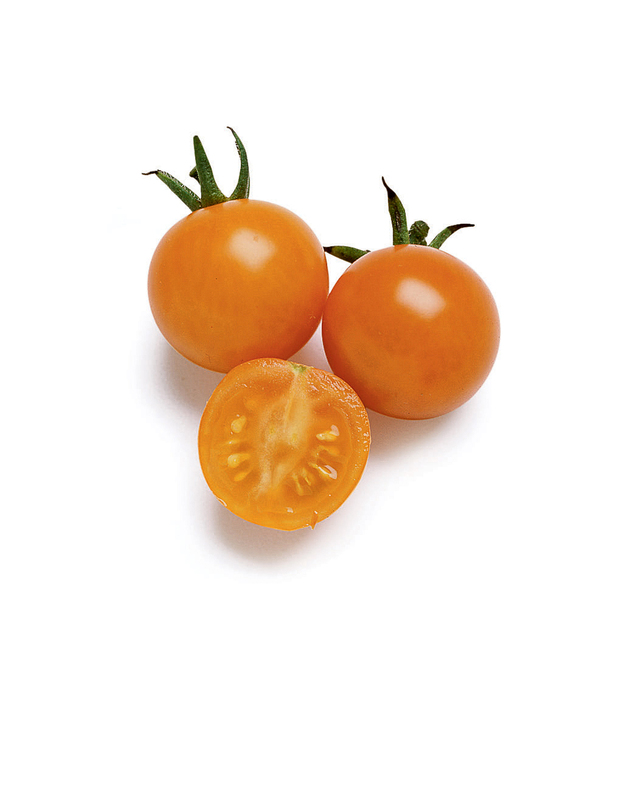 ‘Sun Gold’ cherry tomatoes are pure candy for tomato-lovers; their 1-inch golden-red fruits, which hang in clusters on vining plants, have unsurpassed sweetness. Make planting holes extra deep, then carefully pinch of the lowest 2 sets of leaves. Set in seedlings so that the lowest remaining leaves are just above soil level. Roots will form on the buried stems. 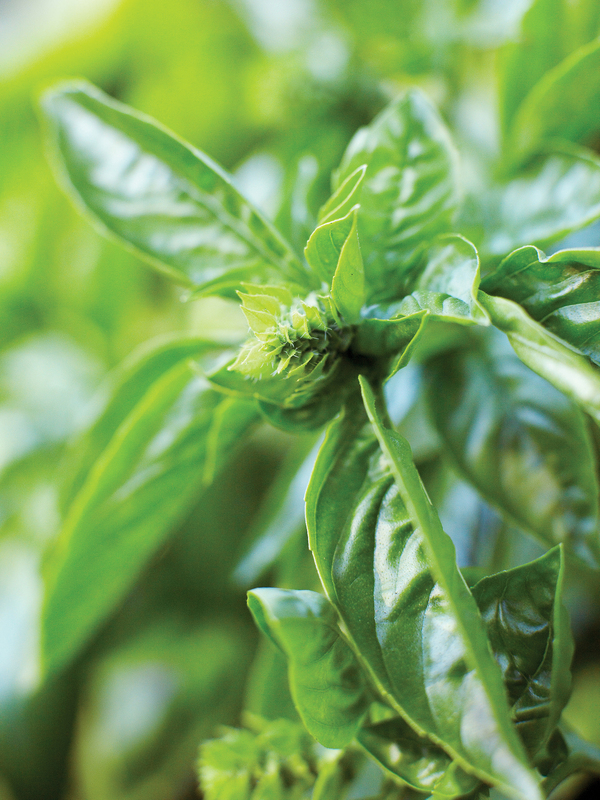 If you only have room to grow one basil plant, make it ‘Genovese’; this variety is the best for making pesto and bruschetta, dropping into tomato salads and more. 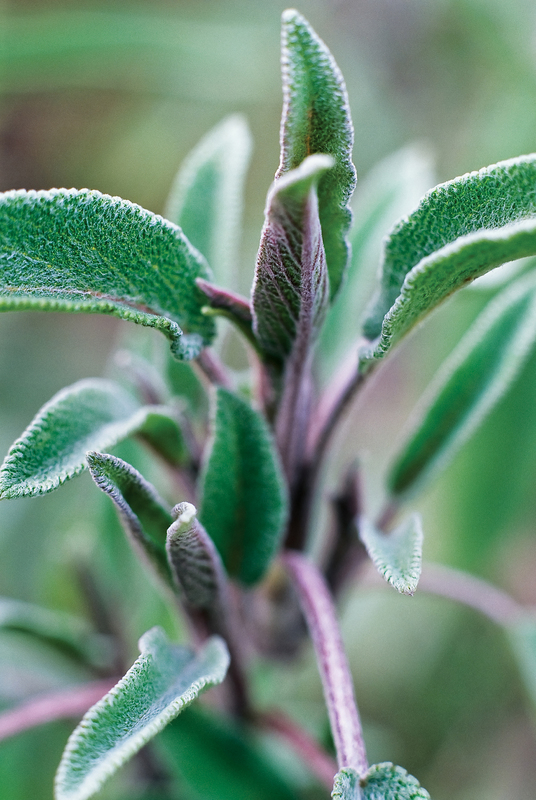 Of all the mint we grow, two are hands down favorites. 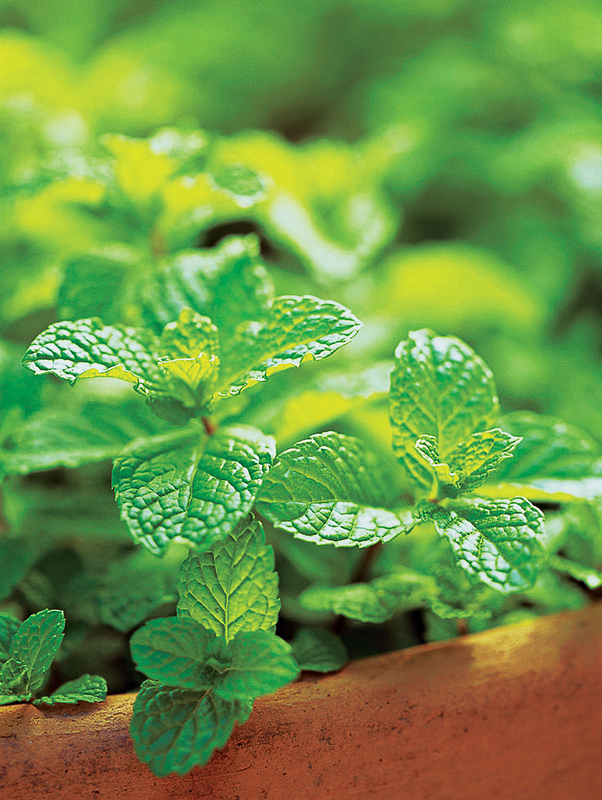 Chocolate mint, because its leaves recall the scent and taste of a peppermint patty. And spearmints (pictured), whose quilted, dark green leaves add freshness to cold drinks and jellies; ‘Kentucky Colonel’ is the best in mojitos. Plant from nursery containers with the base of the plant slightly above the ground’s surface. 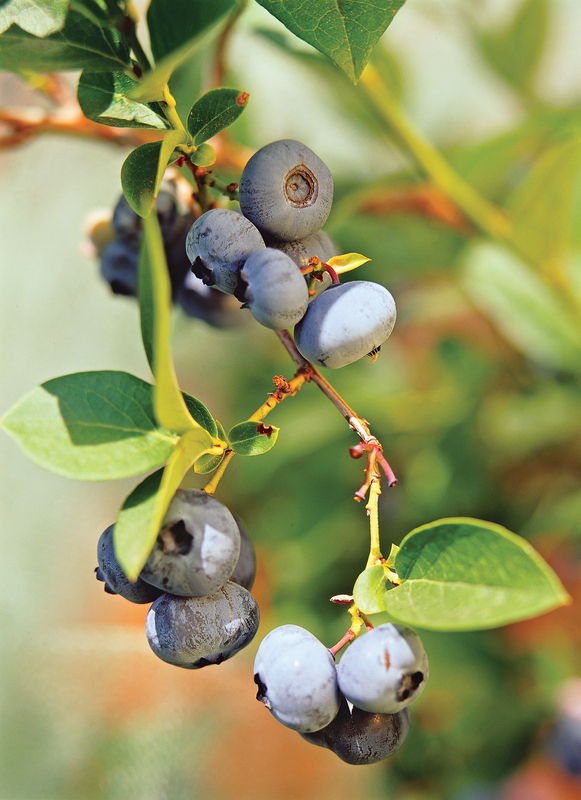 Love the Northern Highbush types such as ‘Bluecrop’; the shrubs grow to 6 feet tall and need winter chill to bear fruit. But their large blueberries have a delicious sweet-tart flavor, and they’re high in antioxidants. 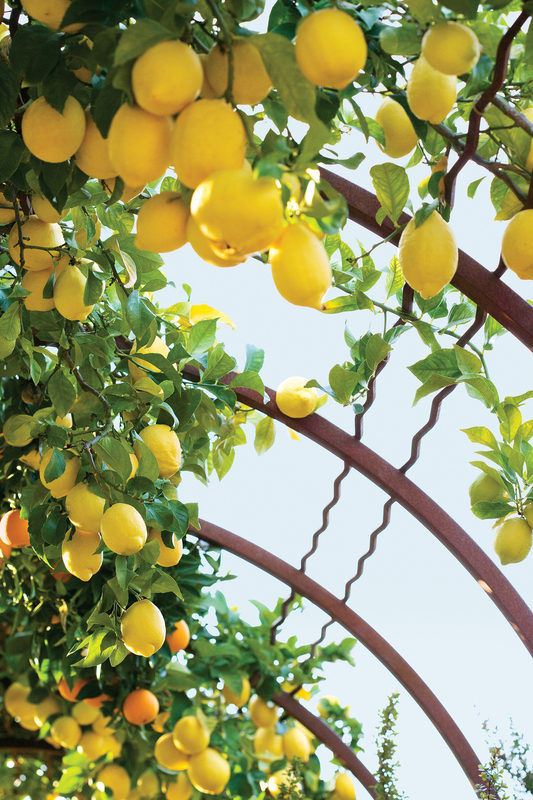 ‘Eureka’ is aptly named; this lemon tree rarely without gorgeous yellow fruits in the right climates; it literally bears all year. Awesome presentation and yes so good to see these wonderful nature at its best, Kelley. Great post. You are so sweet Lana….thank you so much for your kind words…they inspire me! 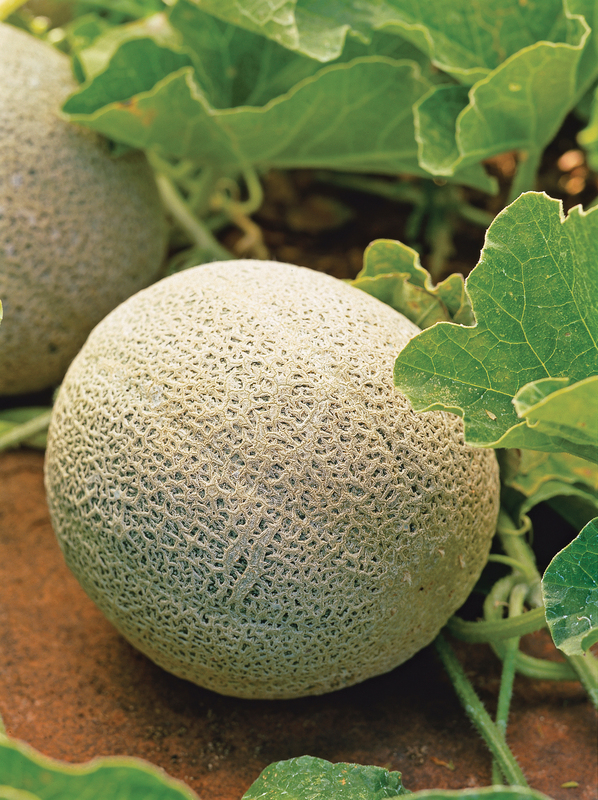 One disadvantage to a mild climate is that we lack heat necessary for watermelons and cantaloupes to do very well here. They grow, but do not do as well as they do in warmer climates. 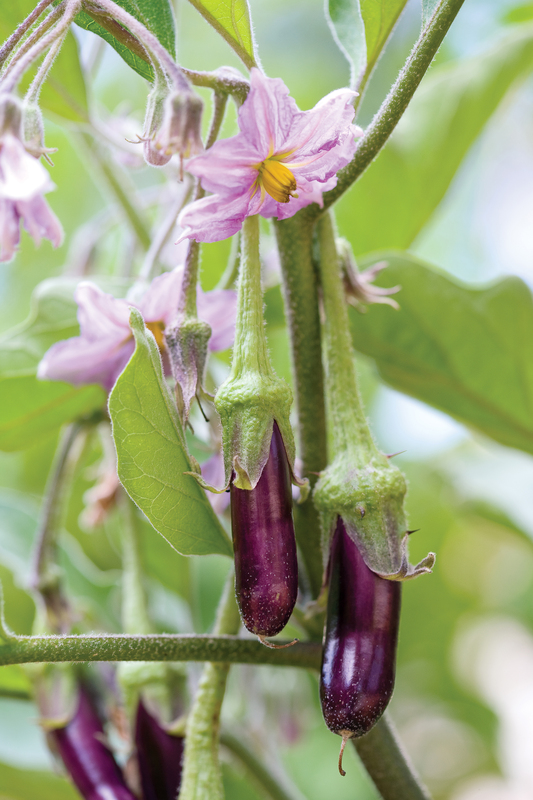 Eggplants do a bit better, but are not very productive. Conversely, blueberry does not do very well because of the mild winter chill. That is a bummer but….I added some cool climate plantings to the post. I would love to plant blueberries, but my climate is too warm. Blueberries present a similar but opposite problem here; like the melons that get insufficient warmth in summer, blueberries get insufficient chill in winter. I wish I could grow blueberries!! I would save a fortune! I still do not understand the allure; but I have never had them fresh either. I found a few thimbleberries just today, and they were quite good. They were no better than relates raspberries, but that is about what I expected. They grow wild, but are not productive. I found only about five berries while walking by about twenty feet of thicket. I will probably plant some in my garden, just because they can grow wild, and because I do happen to have a few in cans. tony, you know just about every fruit and veggie taste best fresh, you can tell the difference. A few years ago when I first grew garlic, I was amazed at the difference in flavor, and it was coming from the parent! The exceptions are the fruits that must blet, such as the keeper pears (which I do not grow) and quince. My quince fruit lasts all winter, and improves with age. By the time the weather gets warm in spring, it gets starchy, but that takes months. I did not have a cellar where I lived in town (which is common for homes in California), so I kept them on the concrete floor in the garage. Where are you again….up northern Ca right? Yes. I am from Los Gatos, but am now on the ‘outside’ slope of the Santa Cruz Mountains. It is not very far away, but is a different climate. So beautiful up north. I am planning a drive up the coast this summer…with doggies…should be fun!! What do you grow Tony? Well, I do not grow things that need too much warmth or too much chill. I grow several fig trees and a quince tree that are copies of trees that I grew up with. There are also the native elderberries. I used to grow the same varieties of apricots (2), prune, cherry, walnut and almond that grew in local orchards a long time ago, as well as a plum, peach, nectarine and others that grew in home gardens. I intend to grow them again, as well as grapes, cane berries, mulberries, chestnuts, and really just about anything that makes fruit. I have been growing the same rhubarb since before I was in kindergarten. At the farm, there are about nine varieties of apple that remain from the orchard that was there a very long time ago. I grew citrus trees back in the early 1990s, so intend to add a few varieties of citrus as well. Sorry to get carried away. I am a native of the Santa Clara Valley; we tend to do that in regard to fruit and nuts. Oh wow! All those yummy fruits , and citrus!!! I was speaking to a friend tonight, we were talking about family and memories. His mom is turning 100 years young! Can you imagine the wonderful memories and that’s when I read your comment.. You must have some wonderful memories. what kind of fig trees? My great grandmother was almost a century old when she passed away. She could remember when Sunnyvale was a small town, and San Jose was not much bigger. (San Jose is not an old city like San Francisco is.) She could remember much more of the orchards than I can remember. They were mostly gone by my time. The fig trees do not have names, although I do happen to grow the common ‘Mission’ fig as well. The important ones are known simply as ‘black’, ‘white’, ‘strawberry’, ‘honey’, and so on. They came from an old farm in Sunnyvale where there are now hundreds of homes. The family who grew them has been in Sunnyvale as long as my ancestors have been. Some are cultivars from another garden, but I do not know what they are. They are not as important as the old ones. 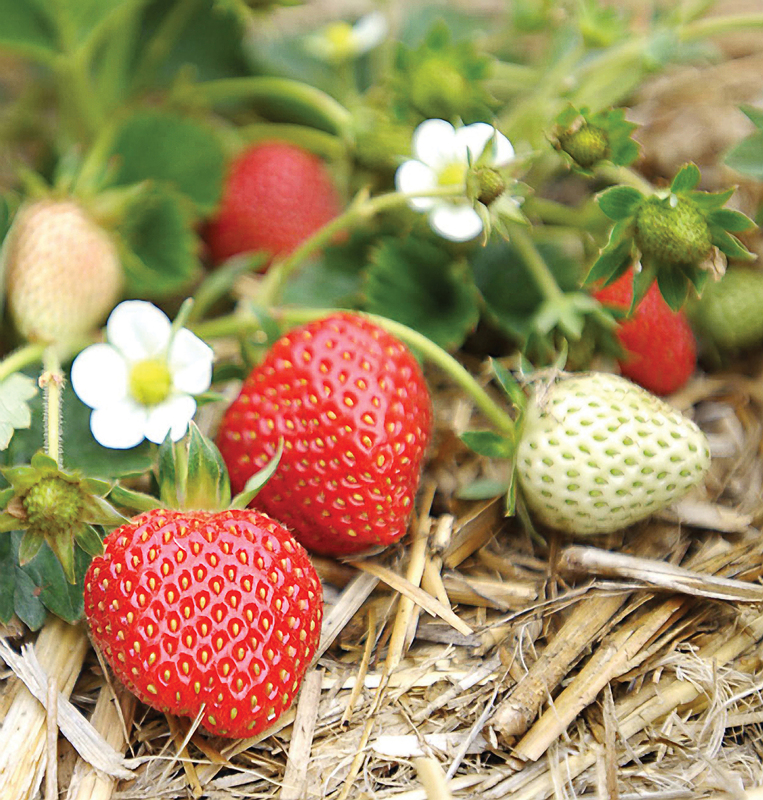 When you named all those delicious fruits and berries…How wonderful to be able to eat fresh produce. Years ago, we did not know how important it would be now that it is all gone. Apricots just grew wild in the mostly abandoned orchards. Prunes were closer to Campbell. Cherries were closer to Sunnyvale. It was not possible for all the fruit to get eaten. Much of it got canned, but even that could be excessive. We got to get a food drive going!!! Goodnight!